[toc]Rashes are quite common and can affect anyone anytime of any age. These cause discomfort and sometimes immense itching and need to be taken care of before conditions get serious and lead to some other problem in the form of skin infection. Rashes usually do not need the intervention of a Doctor and can be taken care of at home. 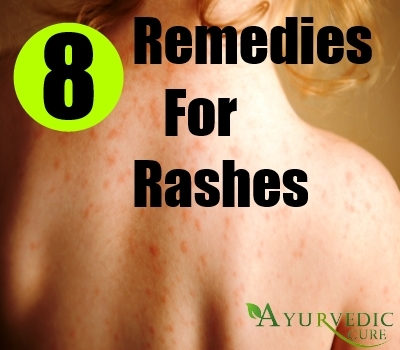 There are many home remedies for rashes which help in providing relief quickly and many times within a few hours. You just need to use the right remedy depending on your skin condition and the level of discomfort you are experiencing. Here are some home treatment options for getting relief from rashes and also for healing them quickly. Rashes are caused due to overheating of the skin and too much sweating. The skin erupts into red rashes and starts spreading quickly if not taken care of. 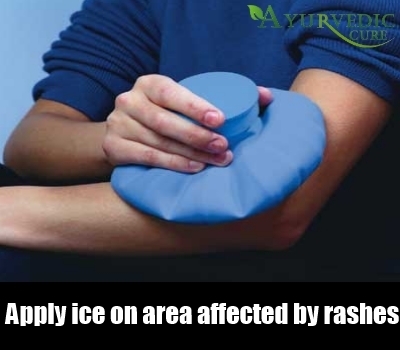 So, as a home remedy, you need to keep your skin cool and reduce sweating as much as possible.Once rashes have erupted and your skin burns, place a pack of ice over the affected area. You can let the ice remain for at least 10 minutes.Apply ice at least 3-4 times in a day. The itchiness will reduce and the healing process will start soon. Rashes are caused by overheating of your body which are visible externally through your skin in the form of rashes. Thus, you have to cool your body internally too along with applying packs on your skin. Drink plenty of water or fluids which will cool your body internally which will again be reflected in your skin. You can have coconut water or fresh lime water with a pinch of salt at least thrice a day.Pamper yourself with fresh fruit juices every day which will give your body all the required vitamins and minerals it needs to fight back skin infections and rashes. Your skin needs plenty of water to stay hydrated and fight skin infections and rashes. When you suffer from rashes, you need bathe at least thrice a day to keep your body cool. 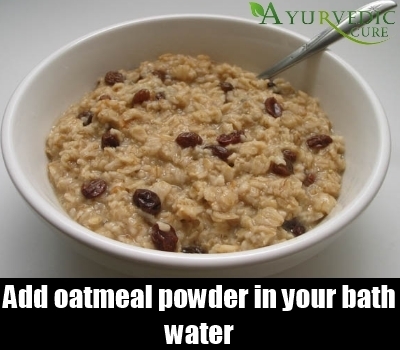 Add oatmeal powder in your bath water as it is quite effective in treating skin rashes caused due to prickly heat and sweating. You can also soak yourself in slightly warm water which contains baking soda. It will reduce the burning sensation and help in speedy treatment. There are a number of skin packs you can prepare at home using easy home treatments which help in treating rashes and cooling down your skin. However, you need to remember that these packs need to be prepared fresh before applying so that you get their complete benefits.Watermelon – You will need a fresh watermelon and get its pulp. Apply this fresh pulp on the affected area and let it dry before you wash it using cool mint water. You will get the dual benefit of watermelon and mint.Honey Pack – Honey is known for its anti-bacterial and healing properties and works as an excellent home remedy to cool skin rashes. Apply honey directly on the effected area and let it remain there for some time.Cucumber – Cucumber is known for its cooling properties and often used in many beauty products. 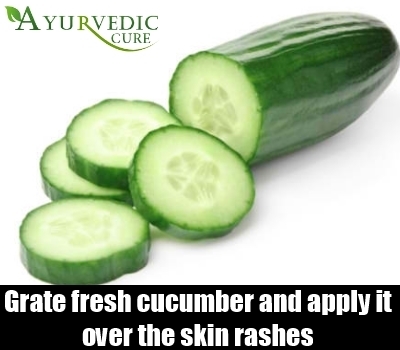 Grate fresh cucumber and apply it over the skin rashes. It will reduce the itchiness immediately as well as the redness of the skin. 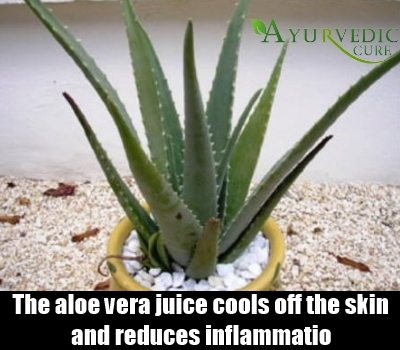 Aloe Vera is popular for its use in treating skin infections and rashes and has been used in many skin products. You need to cut fresh aloe vera slices and apply it gently on the affected area. You can use the gel also for application at least twice a day. The juice and gel from the plant cools off the skin and reduces inflammation, while controlling the spread of infection. Whenever you suffer from skin rashes you have to keep your skin dry and fresh. You cannot sweat too much or let the sweat remain in your body for even a few minutes, as it will increase the rashes. 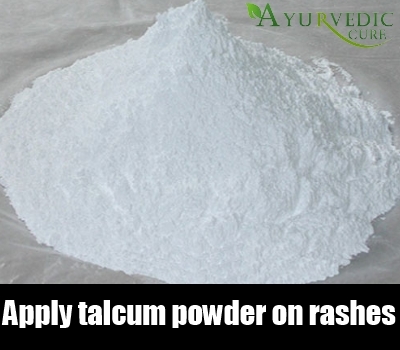 You should apply talcum powder at least 4-5 times in a day.Carry talcum powder with you when you are traveling or while you are at office so that you can use it to keep your body moisture free and sweat free all the while. This will not increase the itchiness and will prevent the spread of rashes further. Preparing a cooling compress for your rashes and itchy skin is easy. You need a cup of cold water and 1 teaspoon of baking soda in it. You can then soak a clean washcloth in this solution and squeeze it later to remove the excess water. This cloth can then be applied on your rashes. 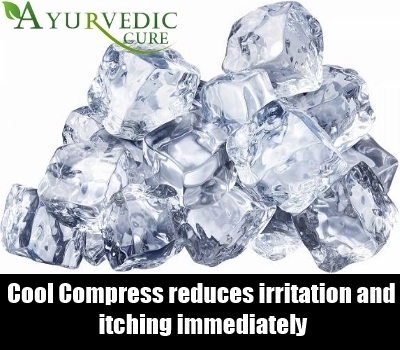 This acts as a cooling compress and helps in reducing the inflammation. The irritation and itching reduces immediately. You can use this cool compress at least four times in a day for best results. Skin packs prepared using simple ingredients easily available at home provide long time relief from rashes. You can prepare a pack using gramflour and mix it with milk and apply on the rashes. You can rub the paste and let it remain on the skin for thirty minutes before washing it off. It will offer relief. Another skin treatment pack can be prepared using cornstarch and water to make a paste. You can smudge this paste on the affected area and let it dry before you wash it off.Wash it off using cold water and get instant relief. Another great option is to apply mint tea over the skin rashes. Mint has a cooling effect and helps in reducing the temperation of the affected area immediately. Hope these home remedies for rashes help you to get relief from the itching and inflammation and you are able to tackle the problem easily.